Workshops by Maestro Eric Jeurissen. It will be best if you apply with partner of your choice. Really. if not possible, contact us and we will do our best to pair up. Payments for the course will be made by cheque or cash on the first class you attend. 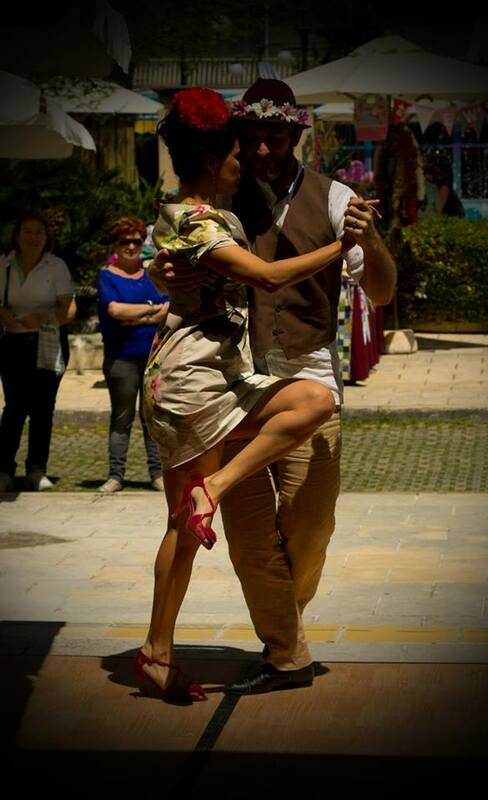 We love to take our tango up to the lovely village of Rabat! From 9pm – 11.30pm milonguita FREE open to all. Bottegin Palazzo Xara offers a full menu and bar. 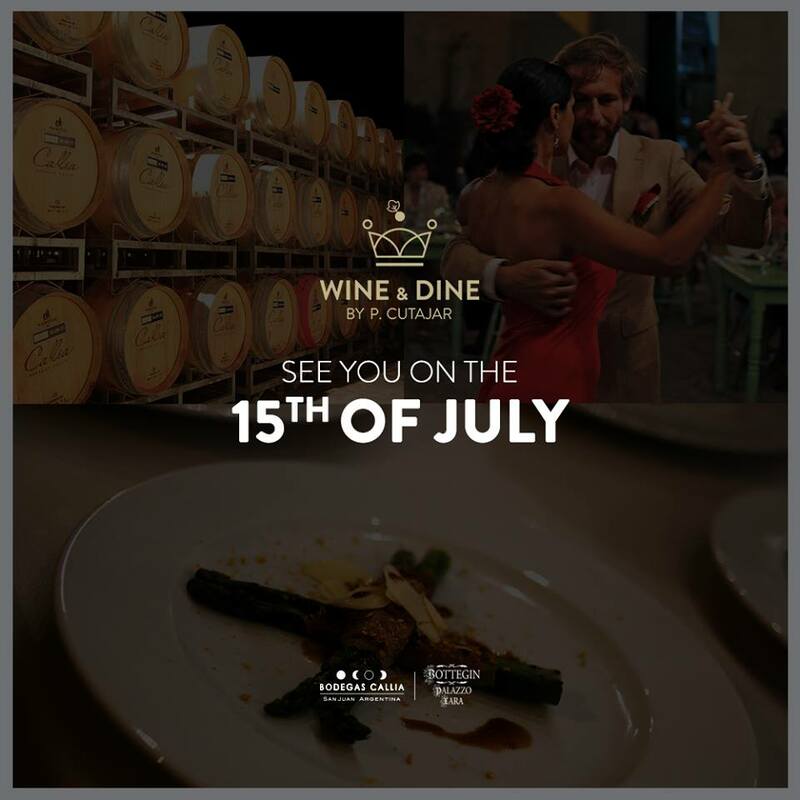 As customary we will organise a tango table so we can enjoy each other’s company, wine, dine and dance the night away. Big thanks to our dear friend and tanguera Francesca Chetcuti for hosting her annual Garden Milonguita. The food was great, the wine flowed and the company was the best! It was a pleasure to support the event and enjoy the company of a good number of local and visiting tangueri. Maestro Eric will be giving tango workshops in his inimitable style and verve! Exact dates, price and location to be announced very soon. As Maestro Eric gives workshops in Malta only twice a year, we wish to make the very best of this opportunity for fantastic focused tuition. Classes will be held if minimum number is reached. Book at your earliest and if possible in pairs. Maestro Eric is excellent at seeing what the class needs and working on that. Feel free to send us the things you wish to work on so we send the suggestions to him and work ground up. Register your interest by emailing info@isladeltango.com or call 79603455. Classes: Enjoyable, intensive and fun sessions, once a week for 5 weeks between 8pm and 9.30pm. This course covers the fundamentals of Argentine Tango in detail. We have designed it in such a way that you explore individual movements which will form the basis of your dance without hindering your creativity. 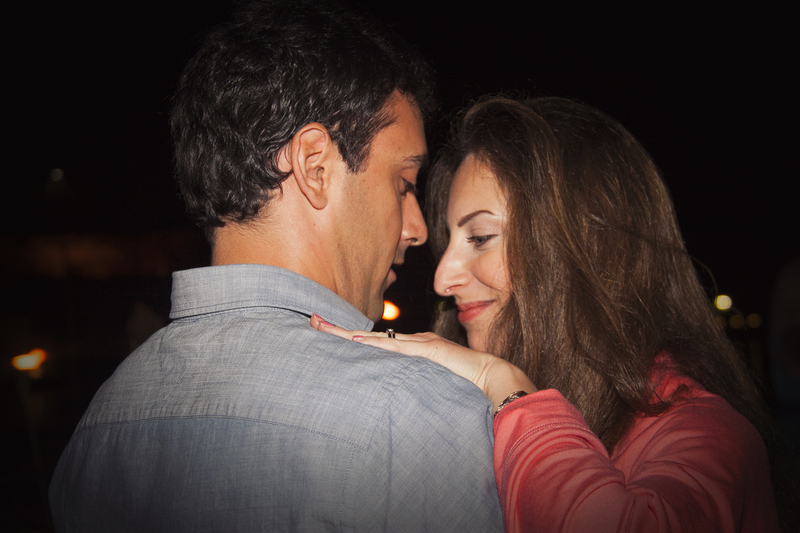 You will use these movements at will as you get inspired by the music and your partner. This course will provide you with the basic tools to create your first tango dances. The journey will be as beautiful as the outcome. Who: Absolute beginners without background in dance, beginners with some background in dance, anyone who wishes to revisit the fundamentals of tango. Price: € 85 per student. Contact us for details. 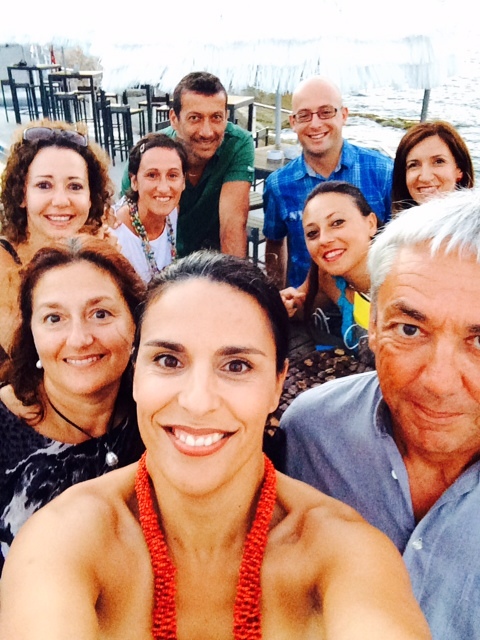 Course taught by Aldo Calleja and Natalie Debono. Email info@isladeltango.com or call 79603455 at your earliest to reserve your place. Looking forward to assist you in your tango journey! A Sunday Autumn afternoon social get together. Tango will be the music of choice so if the mood takes you, dance or bask in the mellowness of old guard tango singers and orchestras. Full bar is open offering teas / coffees / drinks / snacks. Entrance: Free for non-dancers, dancers €3 contribution. 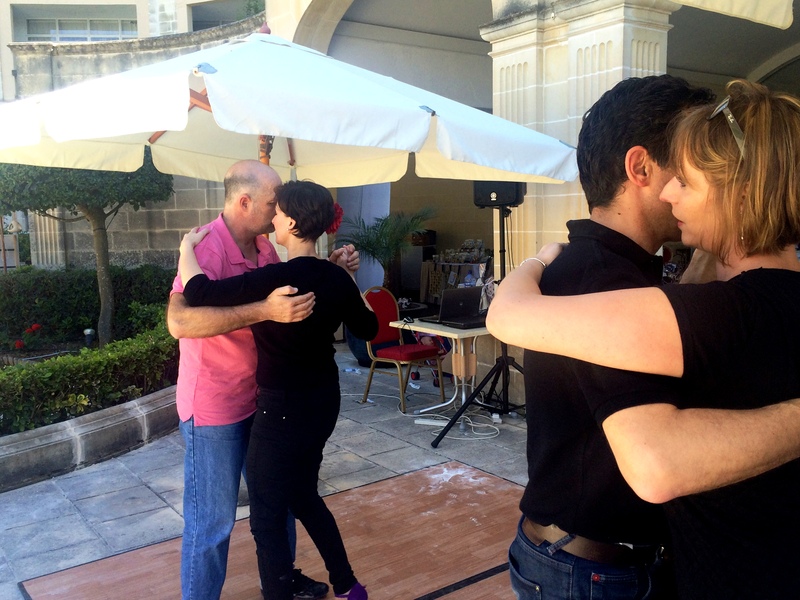 A fantastic journey into the quality aspects of tango is coming up with the inimitable Maestro Eric Jeurissen between the 18th and 21st October 2016 in Malta. Looking forward to a fabulous tango week. The Summer Workshops with Maestro Eric Jeurissen were a big success! The course material and delivery were awesome. 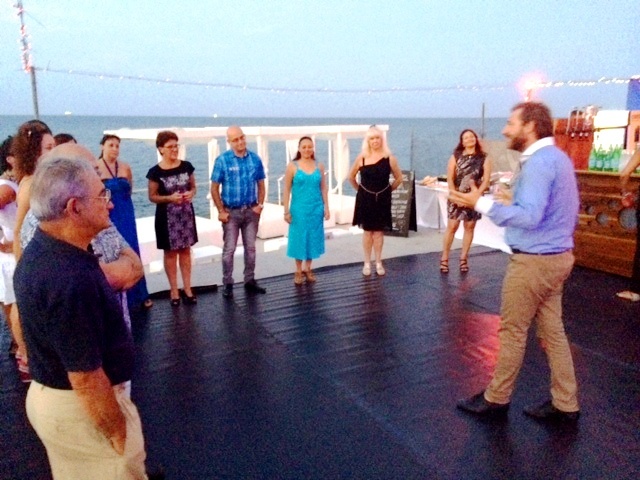 Big thanks to all those who participated and fully engaged in the workshops, those who joined for the special al fresco milonga on Wednesday on the beautiful terrace of the Royal Malta Yacht Club. 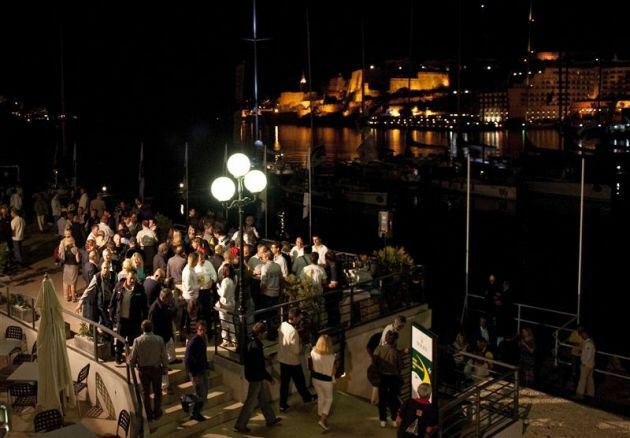 Thanks to the committee and staff at the Royal Malta Yacht Club who made it happen. Appreciation also goes to Nathalie Mifsud for her cooperation. We loved being at Numero Dos and the food was lovely too! Looking forward to have Maestro Eric Jeurissen back between the 15th and 21st of October 2016. The workshops will focus of Clarity, Flow and Elegance with the underlying theme of Communication. These special classes are about the quality of the dance. Booking is open. Cristina Vilallonga, singer and songwriter known in France and worldwide as the timeless voice of Gotan Projet, sings with Marisa Mercadé, renowned Argentinian- Parisian bandoneoniste. Together, with a personnel language, they explore the different colours of classical repertoire. Respecting the style and the nature of this music, rhythmical and rooted but naturally open to other cultures, Vilallonga and Mercadé, suggest the melancholic, unrooted feelings and passion that live in tango – doing it always with a contemporary vision. For this occasion the classical repertoire (Homero Manzi, J.L Borges, A. Troilo, Virgilio y Homero Expósito) adds to the original compositions of Cristina Vilallonga. Tango dancers are welcome however the dancing must be done in a very spontaneous way and adapt to the music (without interference). The main focus should still remain the musician and singer. 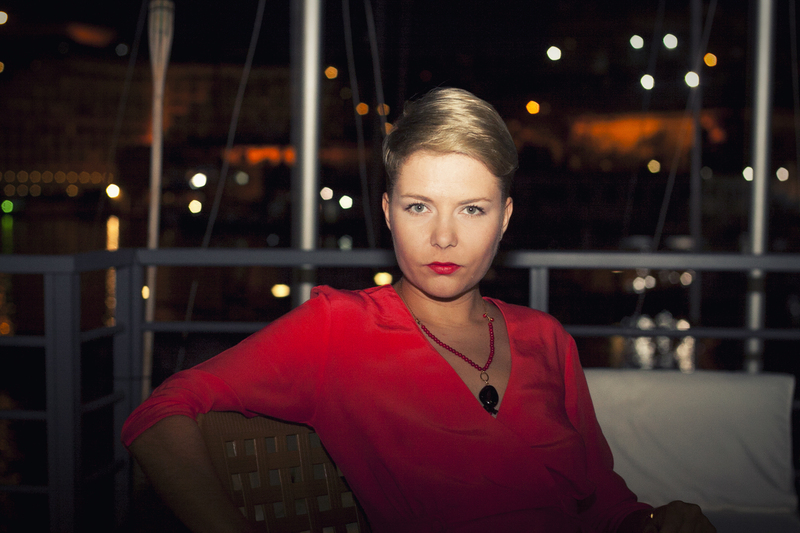 8.30pm – 10pm | Numero Dos in Mosta. 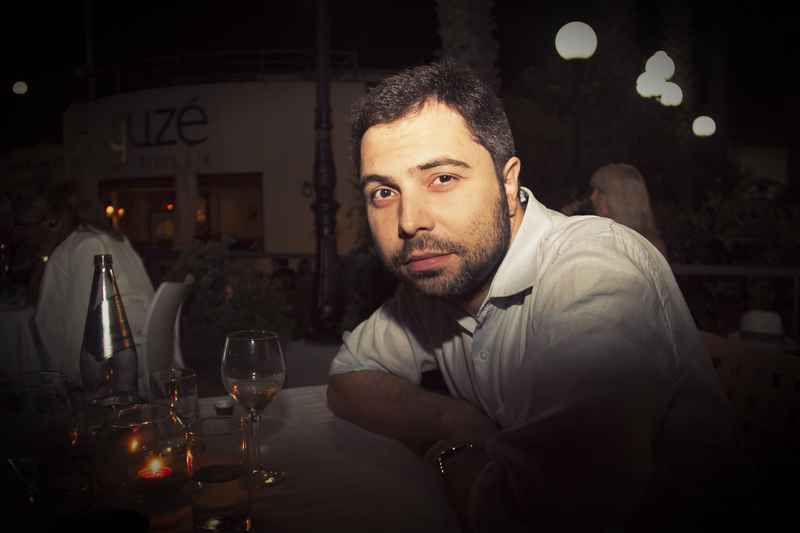 7.30pm – 9pm | Numero Dos in Mosta followed by MILONGA. Join us for Sunday lunch at The Royal Malta Yacht Club. Book soonest. 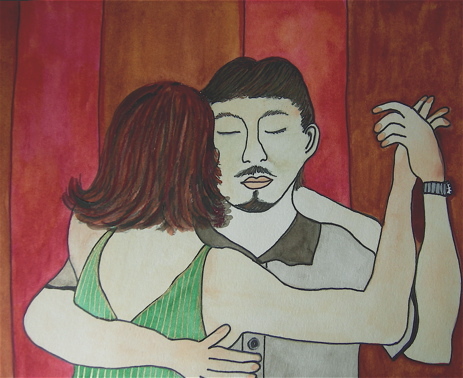 You will be possibly happier if you contact a tango dancer to partner you for the classes. If that is not possible, you may apply alone but we can only do our best and not more. Dancers: Should you have any particular movement / technique, quality you wish to work on, email us info@isladeltango.com. Dancers not participating in classes are still most welcome to sit and observe. Payment of workshops to be settled before classes. 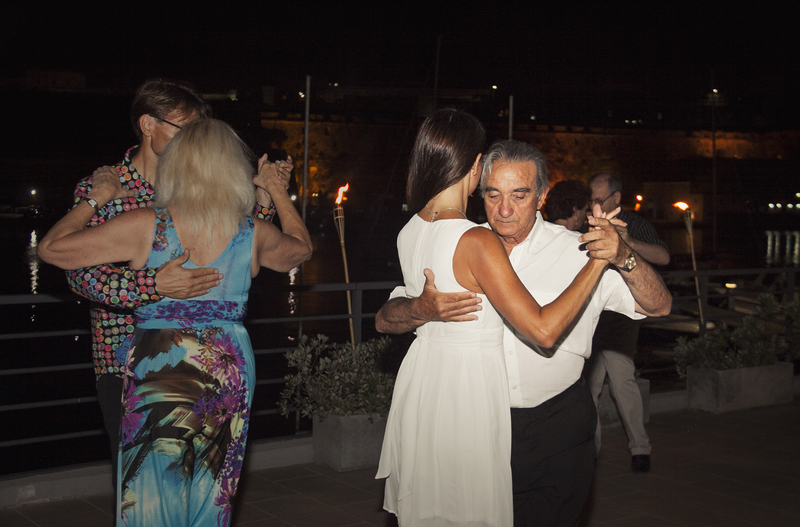 Get in touch with Natalie Debono & Aldo Calleja on info@isladeltango.com or call 79603455 at your earliest. Looking forward to all this with all of you. It was so inspiring and such a pleasure to have two guest classes by Maestro Eric in April! We really enjoyed them. We finished off with a lovely dinner at Grotto Tavern in Rabat and treated ourselves to some amazing food, well prepared and presented. Many thanks to Bottegin Palazzo Xara in Rabat for supporting the event. 3rd May 2016 – TUESDAY NIGHT! Guest class for ALL tango dancers including beginners and improvers by Maestro Eric Jorissen: “Snake and Flamingo Moves for Walks and Ochos… The Elegance of Animals”. Price: €20 pp. Email info@isladeltango.com to book, possibly with a partner of your choice. Venue: Bottegin Palazzo Xara in Rabat. Afterwards, all welcome to join us for a nibble or full dinner at Grotto Tavern in Rabat where we will join the Maestro’s table and enjoy an evening together. Bill will be paid separately. A link to their menu is here:http://www.grottotavern.net/#!menus/c790n. If you wish us to book a place for you at the table, email us at your earliest on info@isladeltango.com. We were pampered and we loved it! 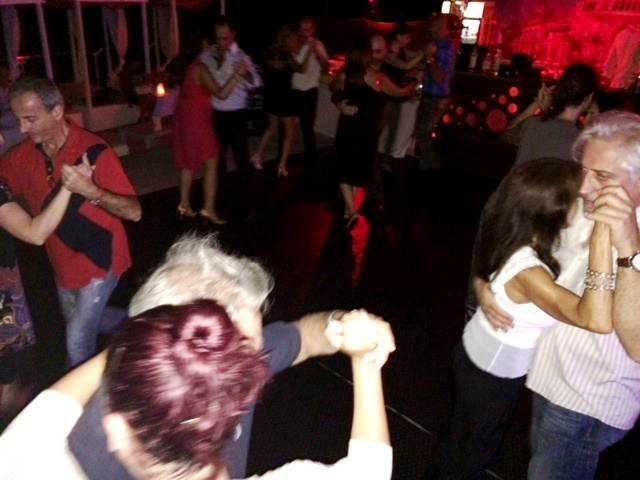 Isla del Tango’s Aldo & Natalie, Stas & Angelina enjoyed a few beautiful tangos too! 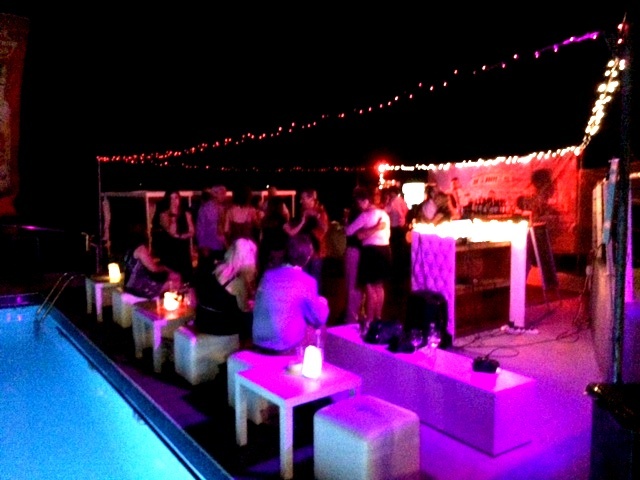 An evening of tango accompanied by the fresh taste of strawberry food and drinks! 🍓 Maestro Eric Jorissen will start off the evening by offering a guest class to the experienced dancers (Intermediate) between 8pm – 9pm entitled: “Turns With Barriers… Turns Being Larded With Lots of Legs To Step Over”. Price: €20 pp. Email info@isladeltango.com to book, possibly with a partner of your choice. 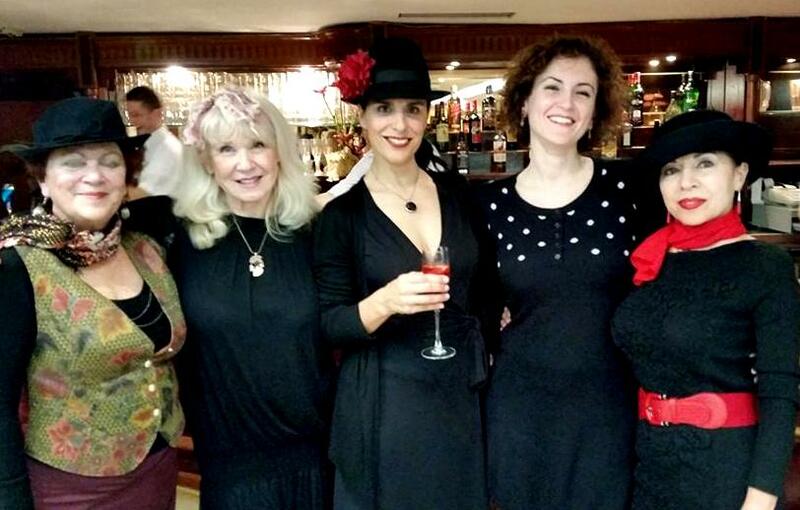 🍓 The class will be followed by The Annual Strawberry Milonga at 9pm organised by Elena Sultana. Entrance ticket: €2 + Bring a drink and / or strawberry-filled food in any form and shape that you would like to share. Venue: HITT Gym, Triq Alamein, Pembroke. HIIT Gym is just opposite the St Michael School (up the road from Sprachcaffe English Language School). The entrance will be marked with the party balloons. 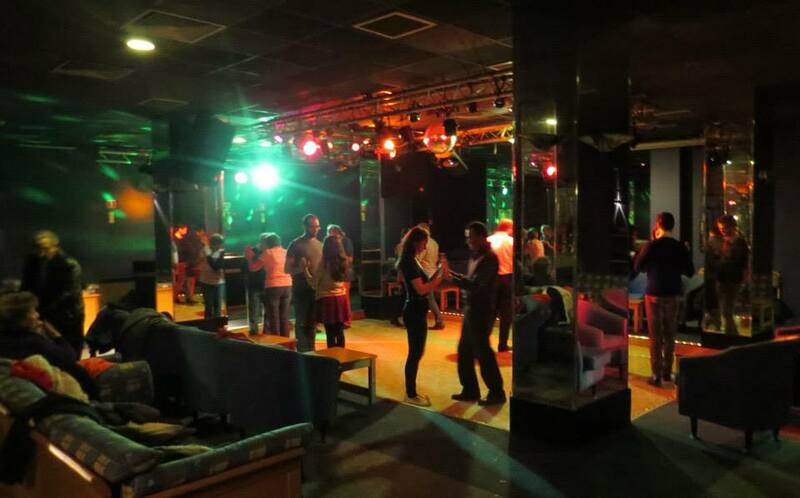 Saturday evening – Milonga organised by Nathalie Mifsud in Mosta. Tango for a Cause! 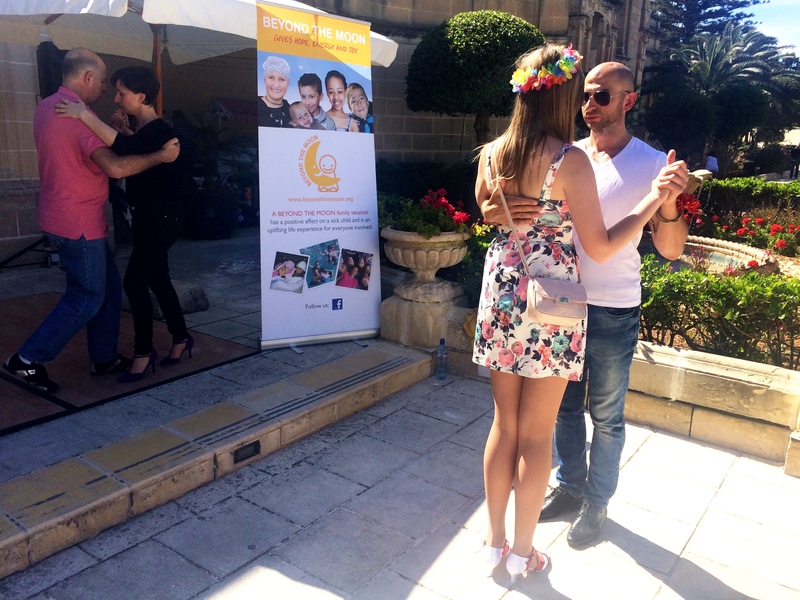 : Charity Milonguita in the gardens of the Corinthia Palace Hotel and Spa in Attard. We will tango between 5pm and 6pm but do drop in before and have a look at the lovely artisan stalls at The Perfect Mother’s Day Gift Fair! Donation €5 all for Beyond The Moon, a charity Foundation offering dream holidays to sick children & their family. 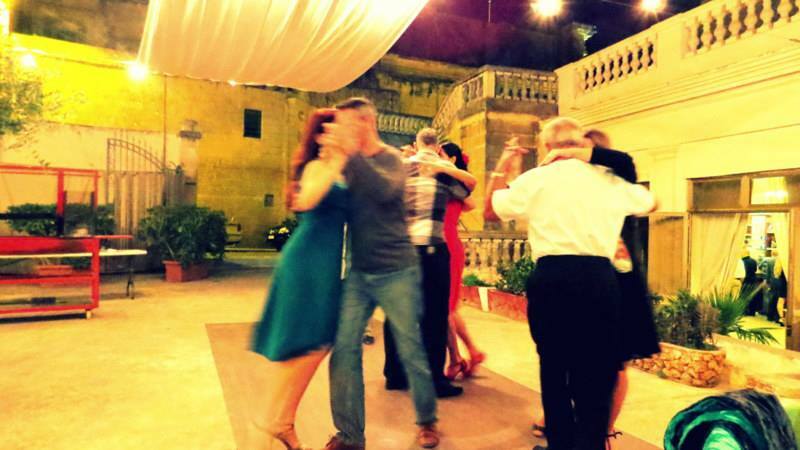 Sunday evening – Milonga organised by MATA in Valletta. On Tuesday 3rd May, Maestro Eric will give another guest class; this time open to ALL including beginners and improvers entitled “Snake and Flamingo Moves for Walks and Ochos… The Elegance of Animals”. Price: €20 pp. Email info@isladeltango.com to book, possibly with a partner of your choice. Afterwards, all welcome to join us for a nibble or full dinner at Grotto Tavern in Rabat where we will join the Maestro’s table and enjoy an evening together. Bill will be paid separately. A link to their menu is here:http://www.grottotavern.net/#!menus/c790n. If you wish us to book a place for you at the table, email us on info@isladeltango.com. Strawberry Milonga to follow from 9pm onwards. Venue: HIIT Fitness Studio in Pembroke with a lovely floor. 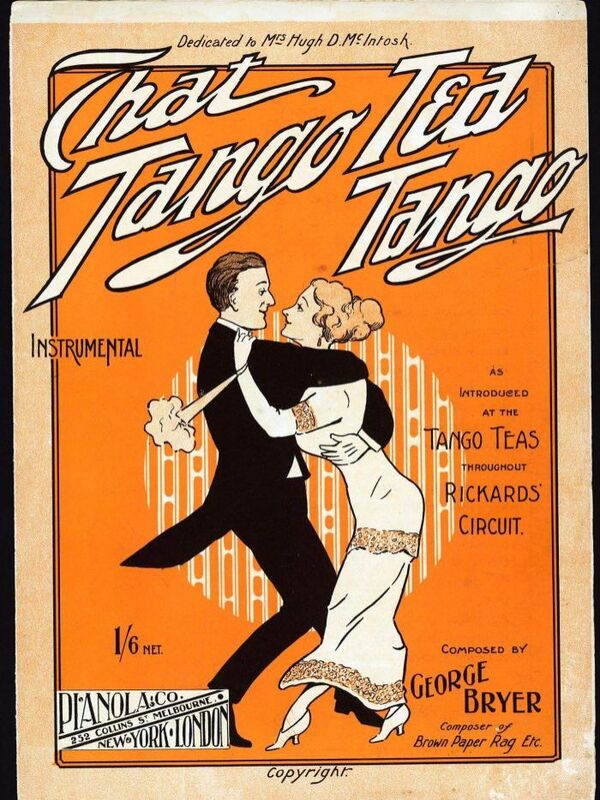 TUESDAY 3RD MAY: Maestro Eric Jorissen will be offering a tango class open to ALL (beginners & improvers welcome) on Tuesday 3rd May at 8pm – 9pm entitled: Snake and Flamingo Moves for Walks and Ochos… The Elegance of Animals. 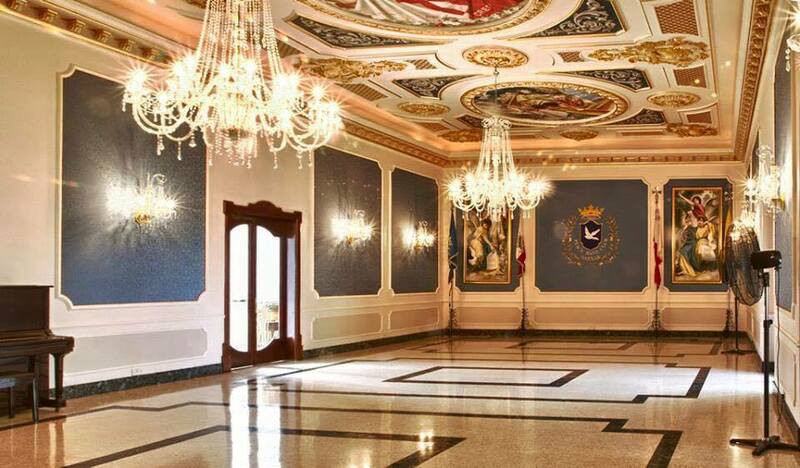 Venue: Bottegin Palazzo Xara in St. Paul’s Street, Rabat. 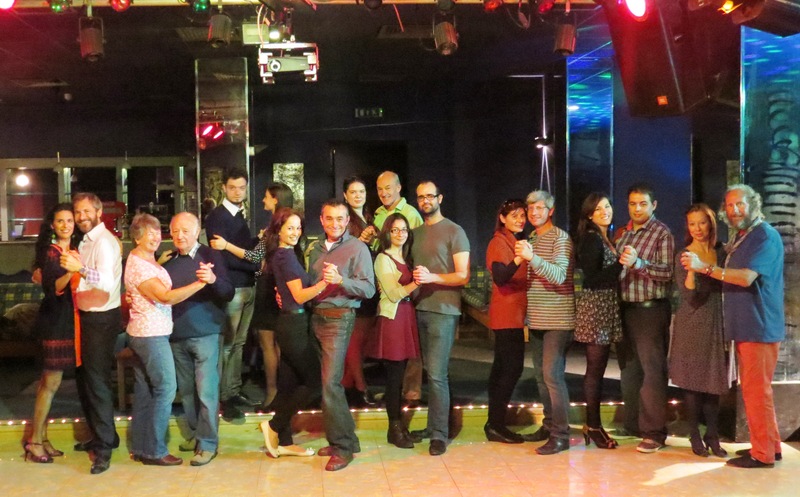 At 9pm, all welcome to join us for a Social Tango Club dinner afterwards at The Grotto Tavern in Rabat. Check out the MENU. Email info@isladeltango.com to book classes possibly with a partner of your choice and to book your place at the Maestro’s table for dinner. On Sunday 24th April, we will be bringing back the glamour of the traditional British Afternoon Tea Dance at our signature venue, the Villa Corinthia. Patrons to this exclusive event will be serenated by Godwin Lucas and his band, and will have the chance to dance the afternoon away in glorious surroundings. Some tango will be played. The elegant menu, crafted by our executive chef Stefan Hogan, will include a selection of classics like roast ham and light grain mustard finger-sandwich. This will sit side-by-side to the hand-made cakes and pastries, which include the Vhalrone Ivoire 33% violet parfait. These will be combined by a bubbly prosecco, to share with your guest. For bookings or further information please contact Corinthia Palace & Spa on 21 440301. Food & Drinks available at excellent prices. Tables on first come, first served basis. Maestro Eric Jørissen is highly sought after around the world. 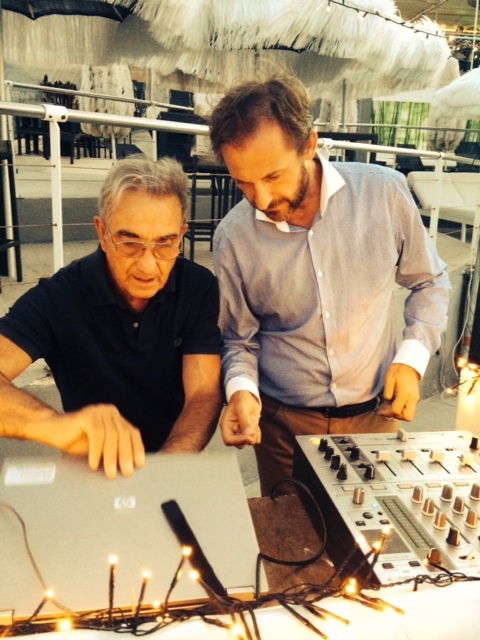 We are very happy to host his workshops in Malta between the 17th and 23rd October 2015. Enjoy his unique way of explaining and communicating tango with unrivalled clarity and metaphors :). 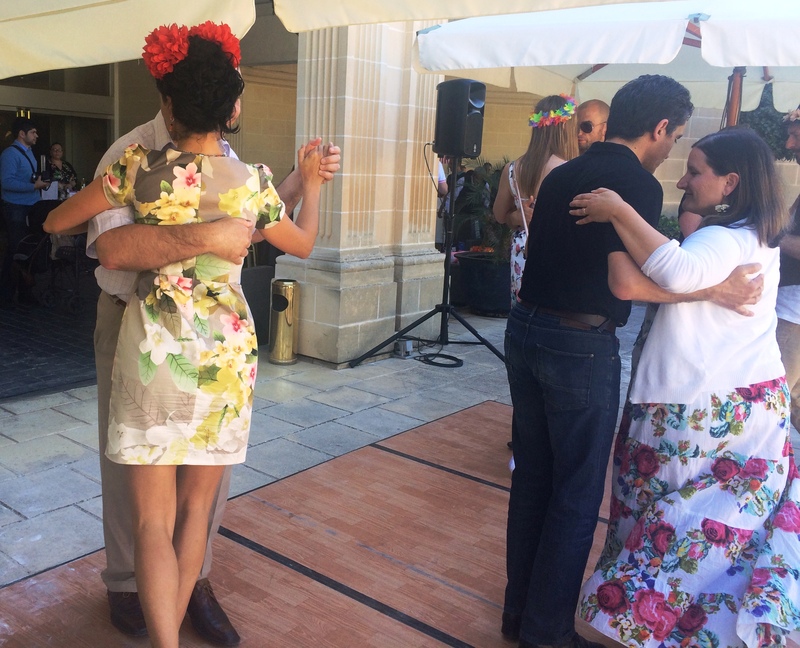 Isla del Tango (Malta) was thrilled to be invited to host an afternoon Spring Flowers Milonguita in the beautiful grounds of Corinthia Palace Hotel & Spa in Attard. The theme of the event was Spring Flowers. Tangueros & tangueras donned their flowers and let the vibrant colours and their creativity speak of Spring joy. ‘The Perfect Mother’s Day Gift Fair’ is organised to support Corinthia’s chosen charity Beyond The Moon – “We brighten up the lives of seriously ill children and their families with a carefree Beyond the Moon vacation” (http://www.corinthia.com/press-releases/corinthia-hotels-receives-beyond-the-moon-award/). For more information do not hesitate to contact us on info@isladeltango.com or call 79603455. Are you residing in Malta or Gozo? Join us for the upcoming and excellent basis in Argentine Tango. This course (the whole course is over 8 sessions) covers the fundamentals of Argentine Tango in detail. We have designed it in such a way that you explore individual movements which will form the basis of your dance without hindering your creativity. You will use these movements at will as you get inspired by the music and your partner. This course will provide you with the basic tools to create your enjoyable tango dances. Please find more information in the flyer attached. The journey will be as beautiful as the outcome. Venue: Nicky’s Dance Studio, De La Salle College, Vittoriosa. Price: € 85 per student. 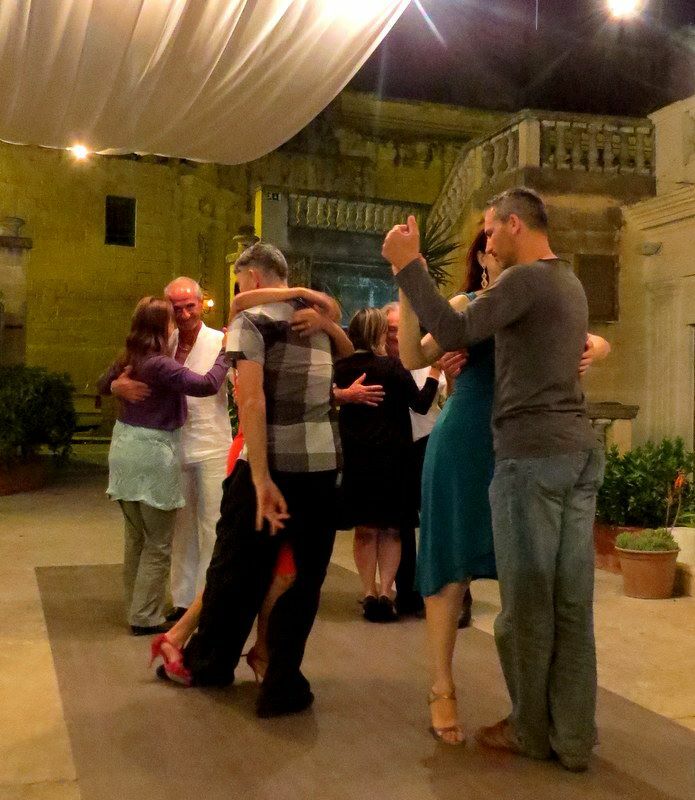 During and after the course, should you wish to practice tango under supervision, you may join Isla del Tango’s class every Tuesday between 8pm – 9.30pm in Birkirkara. (Class fee €6 to be paid per class). Email info@isladeltango.com or call 79603455 at your earliest to reserve your place. Feel free to forward this link to people who might be interested. Am amazing turn-out and vibe created at the event ‘Mix It Up! Just for Fun’; an Argentine Tango & Salsa event. It was an experiment that worked, the brainchild of lovely tanguera Flora, hosted by Santana Hotel, fully supported by Happy Rueda and Isla del Tango. It was fun bringing two communities together in the spirit of of latino fun. 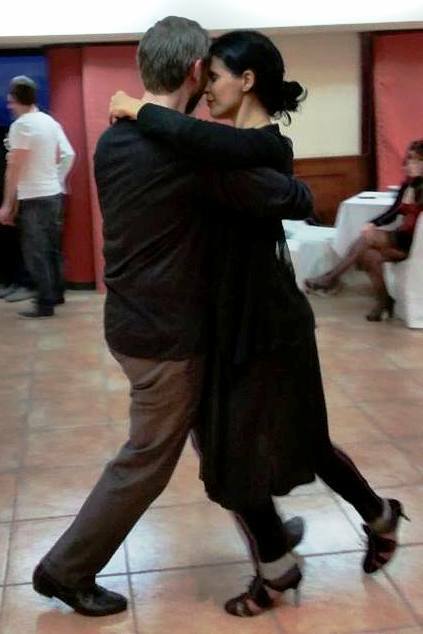 If you wish to learn Argentine Tango Lessons in Malta, then do not hesitate to contact Natalie Debono & Aldo Calleja of Isla del Tango on info@isladeltango.com or call 79603455. Let’s Party! Dance Tango & Salsa at the same event! Isla del Tango (Malta)‘s annual charity tango event was a beautiful event in collaboration with Carisma Spa and Qawra Palace Hotel. 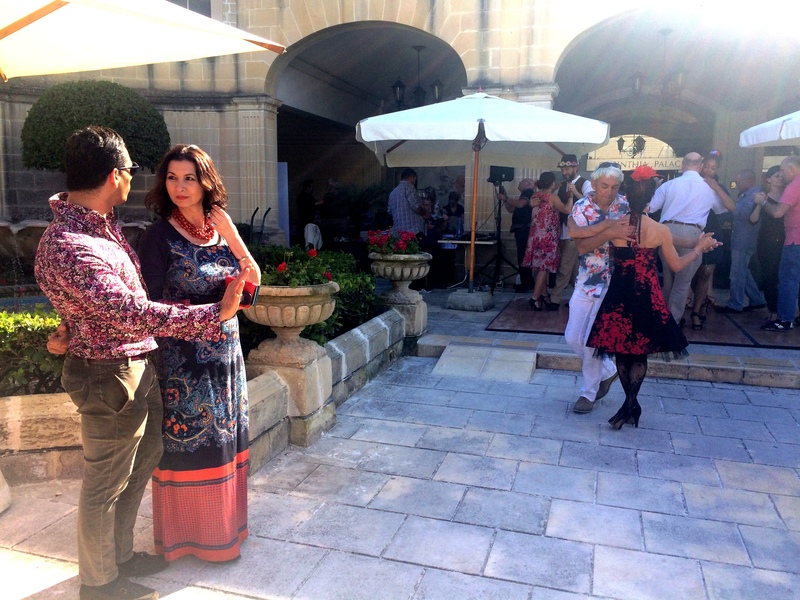 The event started with a taster class in Argentine tango by Aldo Calleja & Natalie Debono followed by a milonga (social dancing). Meanwhile beauty treatments where offered for those wishing some pampering. Many thanks to Bilgi and Mustafa and the professional therapists who really know how to offer great customer service and know how to treat them beautifully! The total sum donated to Dar il-Providenza is €292.70c. Big thanks to all those who helped with promoting the event, donated, those who gave a hand with the set-up: DJ Lamanna, David for registration and Flora & Amanda for the photos and the Qawra Palace staff Mr Farrugia, Mr Cini and Brian! 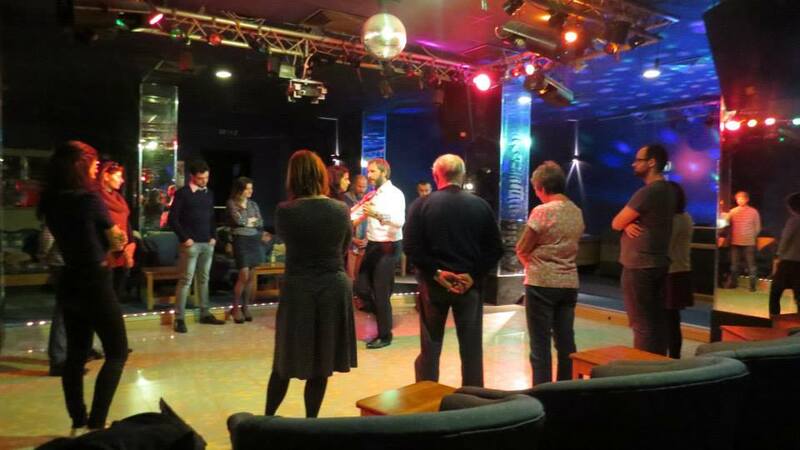 Join in a fantastic and fun TANGO & TREATMENTS afternoon on Sunday the 25th of January 2015! 2pm – 6pm a number of beauty treatments will be offered at the Carisma Spa at the Qawra Palace Hotel. Pamper yourself with lavish beauty treatments before or after your tango and let’s splash in the warm pool at the end of the milonga . (Free used of sauna, pool & jacuzzi with above treatments). This event is supported by the generosity of Carisma Spa & Wellness International and we thank them wholeheartedly. ALL proceeds from the milonga and the treatments will be donated to Dar il-Providenza in Siggiewi. Aldo Calleja and Natalie Debono just returned from a week of tango training with gran maestra Susana Miller and classes with brilliant El Corte teachers (Eric Jorissen, Komala Vos and Stefan Wimmer) and non-stop milongas. It was a beautiful and fruitful experience in which we delved deeper into the techniques of Argentine tango, flow, connection and musicality. LAST ASSISTED PRACTICA CLASSES FOR 2014! 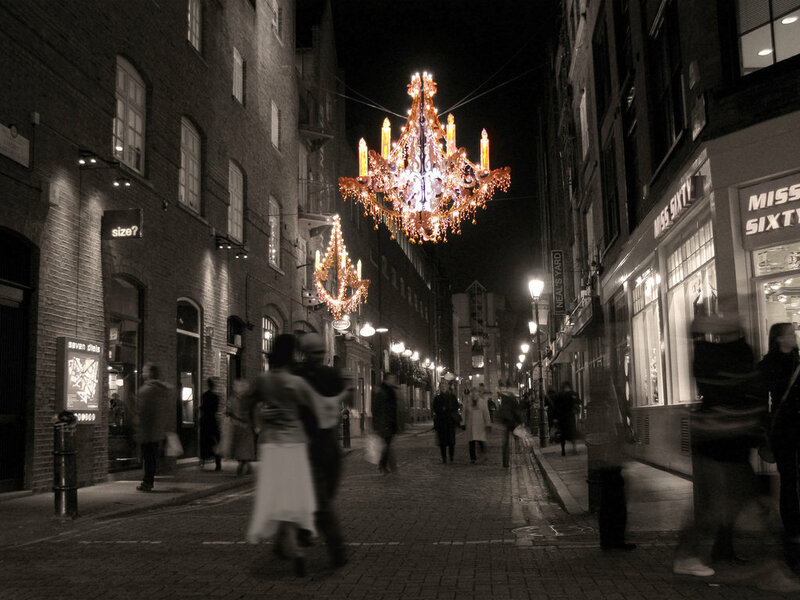 We are nearing th e close of 2014 and we have just 2 tango practice classes planned out for you before the Christmas break. Tuesday 25th November between 8pm – 9.30pm. The lab is ‘Experimenting with Turns’. Wednesday 26th November between 6.30pm – 8pm. The lab is ‘Cruzadas’. ASSISTED PRACTICA CLASSES WILL RESUME ON TUESDAY THE 13TH OF JANUARY 2015 AT 8PM. 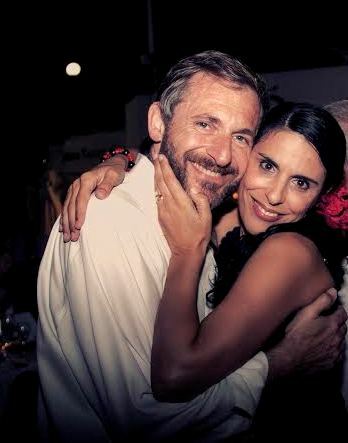 Isla del Tango’s teachers Aldo Calleja & Natalie Debono hold regular assisted Argentine tango practice & focused lab sessions every: Tuesday between 8pm and 9.30pm and Wednesday between 6.30pm and 8pm Venue: Top Floor, Calleja Ltd., 31, Bishop Labini Street. B’Kara. Price: €6. 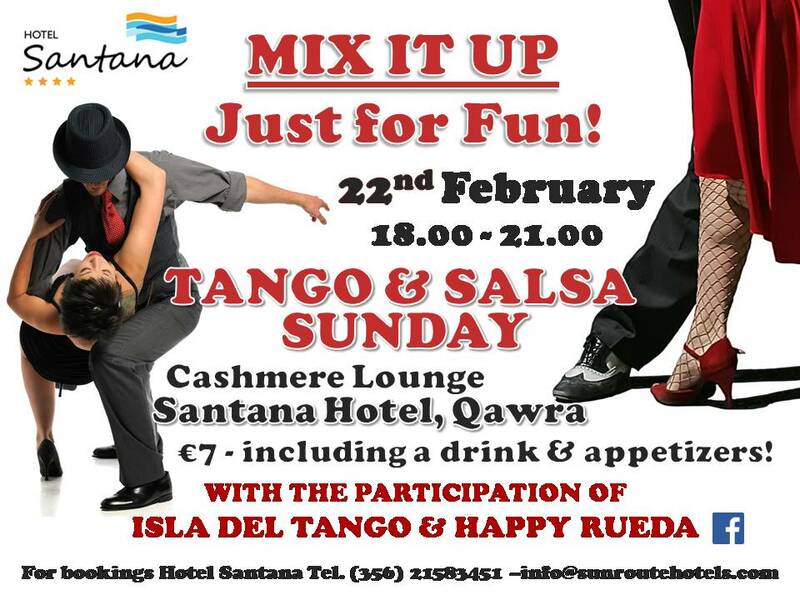 Reserve your place by emailing info@isladeltango.com or calling 79603455. These sessions are intended to maximise every part of every learning experience. Get more out of your dancing. Retain more of what you learned. Polish what you have learned and add more. 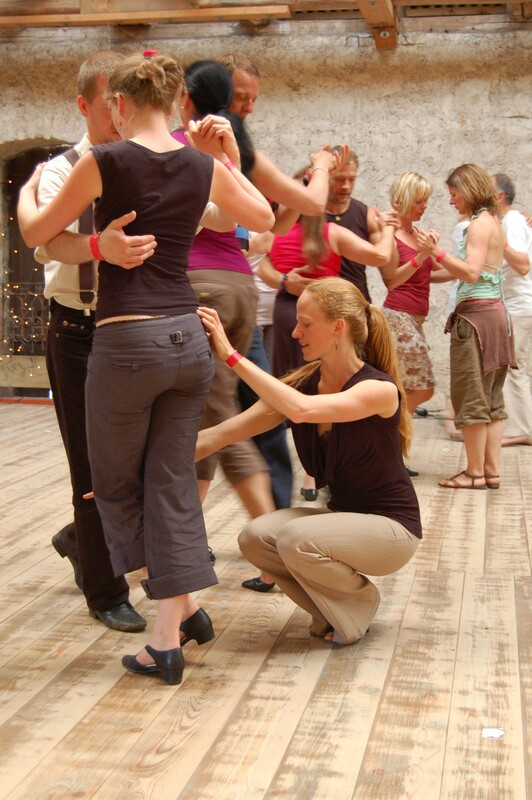 Deepen your understanding and connection to tango. 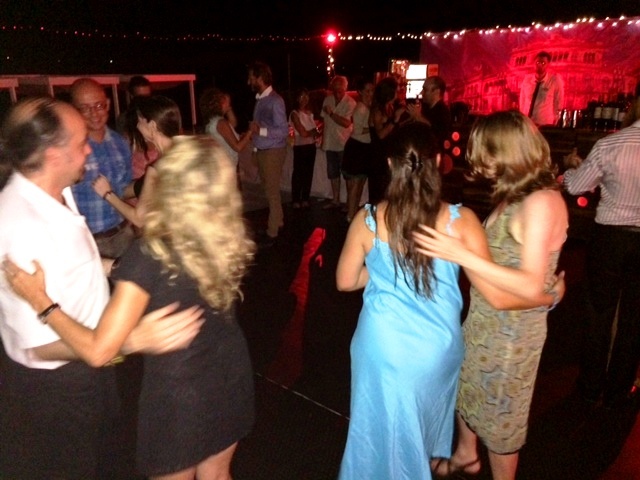 Build friendships in class so it will be easier to find dance partners at the milonga. To be present with your partner you must quiet your chattering mind, relax your nervous anticipation, quell your egoistic attachment to winning, your fears of failure and of intimacy. Tango Thursdays is all about tango & friends. 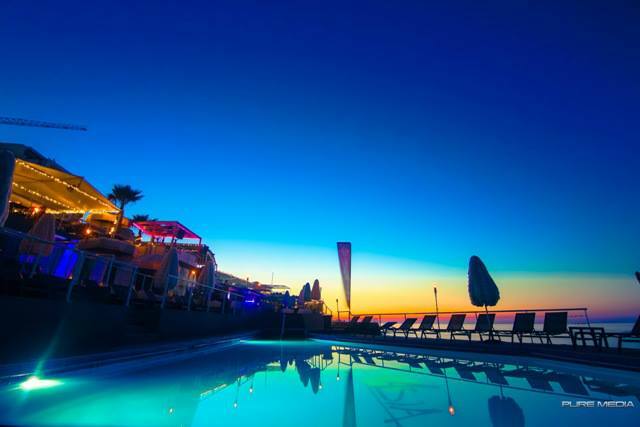 A beautiful way to spend summer nights in Malta. On Thursday the 7th of August 2014, Isla del Tango will be organising Tango Thursdays up north to enjoy one of the finest townships in Malta which was part of the Roman city of Melita, RABAT. Venue: Bottegin Palazzo Xara, St. Paul’s Street, RABAT. The first part of the evening will be dedicated to a tango lab + an assisted practica session between 7.30pm and 9pm in the hall (€6). Book your place by emailing info@isladeltango.com. 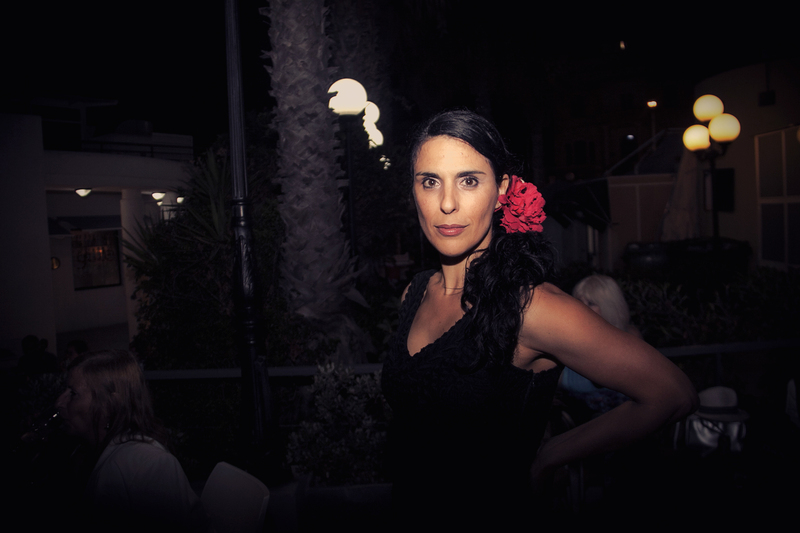 At 9pm we will move into the courtyard to enjoy an open-air milonga until the cumparsita at 11.30pm. Free. This is a gift to our tango friends. 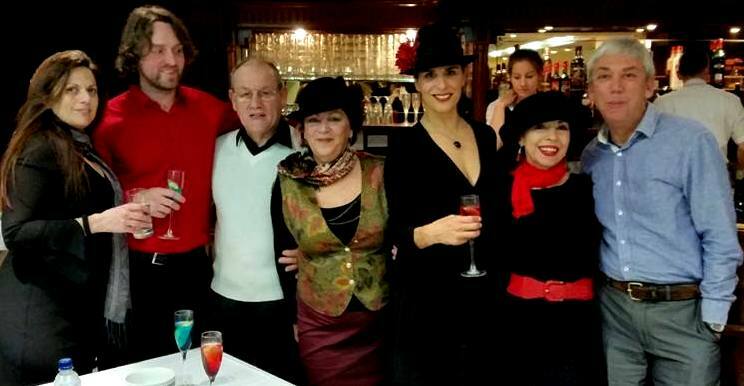 Bottegin will be serving food and drinks before and during the milonga, all at reasonable prices. 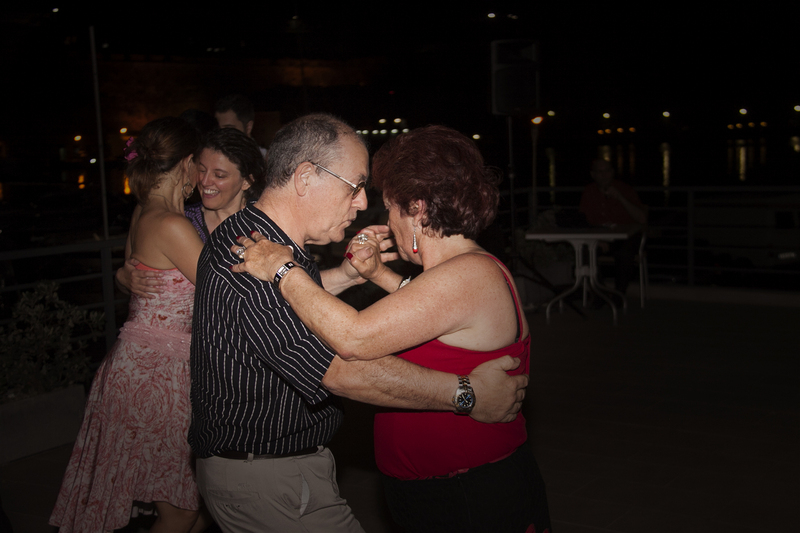 Medasia & Isla del Tango Malta collaborated to host 3 Tango Thursdays, an evening of Argentine tango in a superb location, right by the water’s edge. 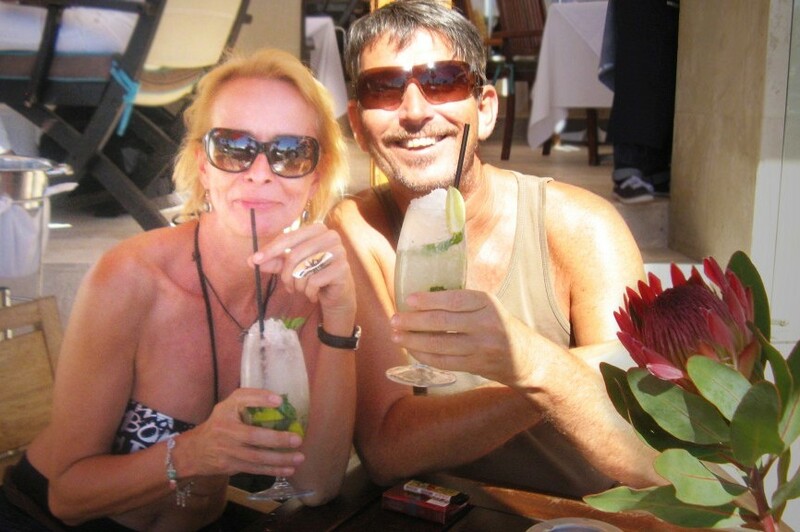 A chic and mellow ambiance was created, the food and drink offered were of excellent quality. 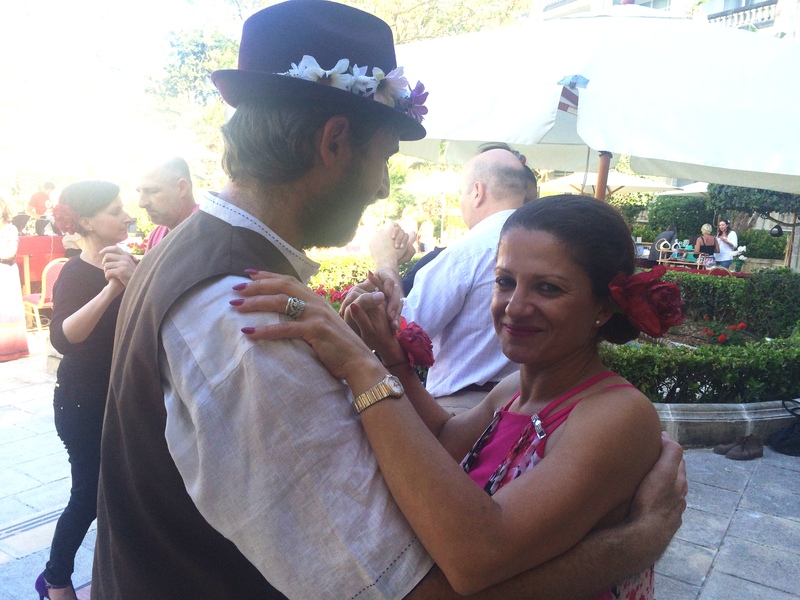 The dancing was sweet with the help of the local and visiting tangueros/as and our 3 local tango DJs: Abby Hoffman, David Bugeja and Matteo Lamanna. Interested in learning Argentine Tango? Email: info@isladeltango for info. 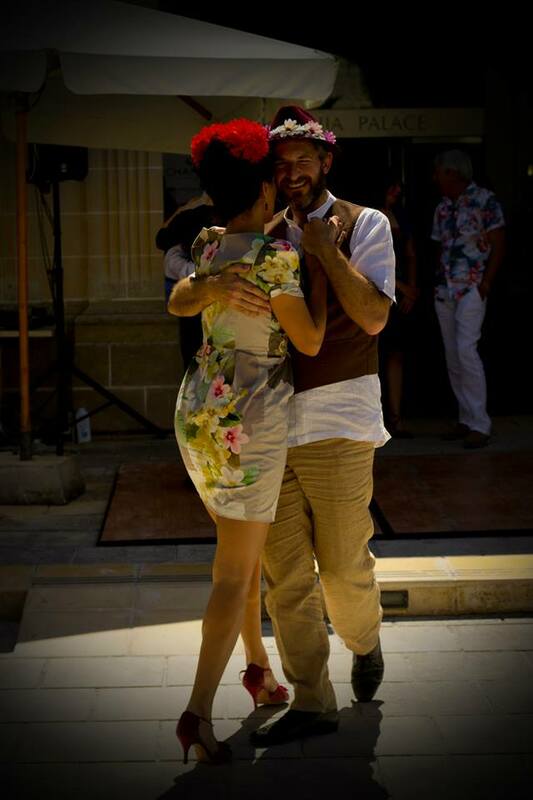 Learn Tango with Isla del Tango (Malta) est 1997. Email info@isladeltango.com or call 79603455 for more information. 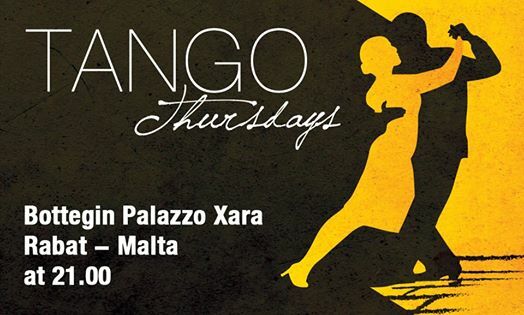 In Malta, Tuesday is synonymous with Tango Tuesdays with Isla del Tango! 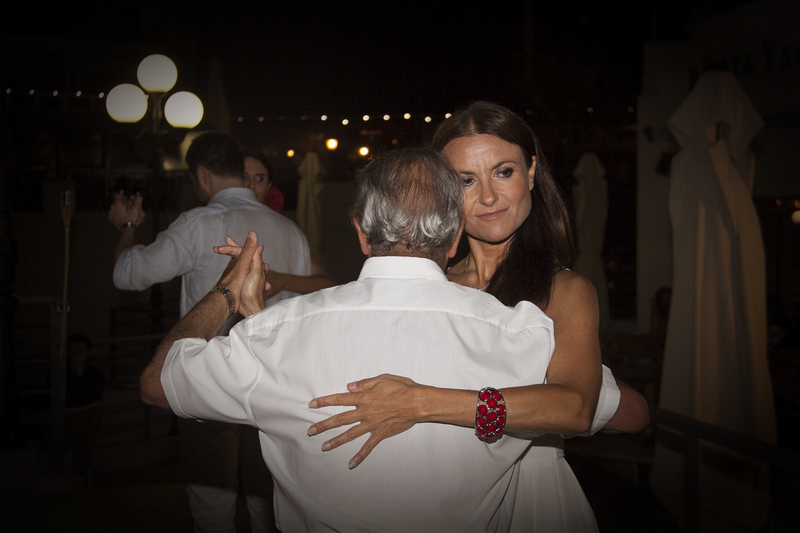 Below please find your weekly invitation to join tango teachers Aldo Calleja & Natalie Debono in the guided and assisted tango practice session. All levels welcome. All dancers welcome. 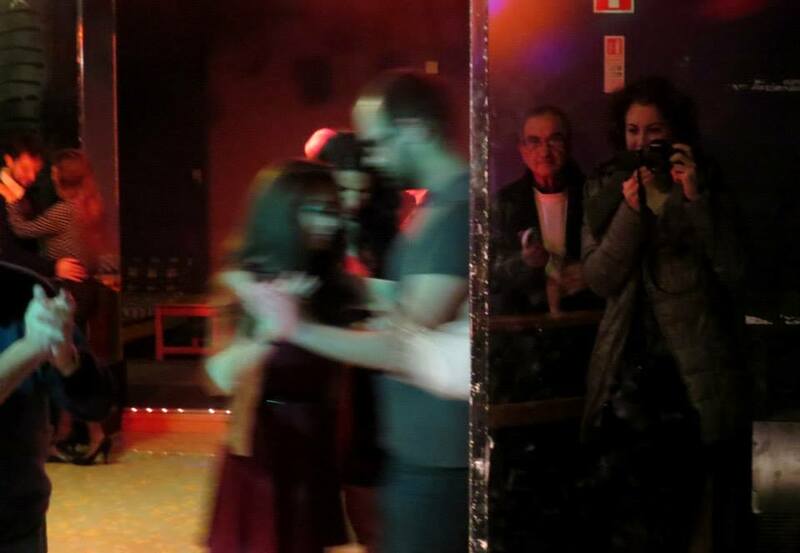 Tango is an experience and a discipline which constantly arouses questions. Parallels to life abound. The how and why of things. The experience that I’m searching for, experimenting with and discussing is ‘flow’. Flow and Connection are the things that keep me coming back for more. From time to time I have experienced flow in tango. The feeling is awesome. Nothing else matters. Time takes on a different dimension. Slap bang into the present, we moved as one. The result is an utter sense on joy. Breaking it down, I think that one needs a very good posture with a very good connection. The basic skills need to be in place. Being comfortable with your skill level, with a nicely grounded sense of being, come right into the present and focus only on the moment. Just be. Enjoy! A quietness in the soul is the magic. It makes you able to become aware of your body and how it is affected by its surroundings. Then you can look inward and choose values that are true to your inner self. Detachment is an ability to draw back from the physical impact of unnatural conditioning. It is like creating an island in the stream. The passage of time is often seen as such a stream. A pushing river that flows and flows faster day by day and on which we always have to catch on. Music too can be seen as a stream of notes. The dancer has to keep up with the mechanic time-pitch of a metronome. His consciousness is strongly fixed on potential outcomes. However, music also has the power to make contact with your inner self. When concentrating fully on the music, a whole range of subtle impressions will begin to set. It overlays the image onto another image on each existing instant as it occurs. If one can learn to relax enough, the body will naturally take care of itself, so performing the movements with a graceful naturalness, easiness and spontaneity. It improves the ability to perform without apparent effort. An embrace has such power of peaceful harmony too. It is an island in the stream of time. Tuesday 28th January 2014 between 8pm and 9.30pm in 31, Bishop Labini Street, B’Kara. We hope to see you all there! . 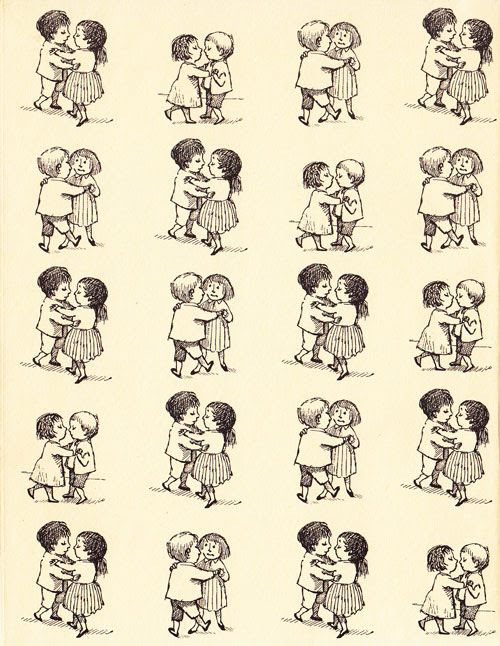 Connection is a concept immediately understood by anyone who has danced tango for more than a short period of time. It transcends cultures, countries, genders, time. It is the reason for our obsession with the dance, the gift of tango, its opiate. It is a blur of passion and sensuality on a primal scale. We are happy to announce the course: Introduction to Argentine Tango B: Experiencing the Connection & Crosses between the 24th and 26th of January 2014. This will build on the Fundamentals and Basics A.
Email info@isladeltango.com to reserve your places soonest! 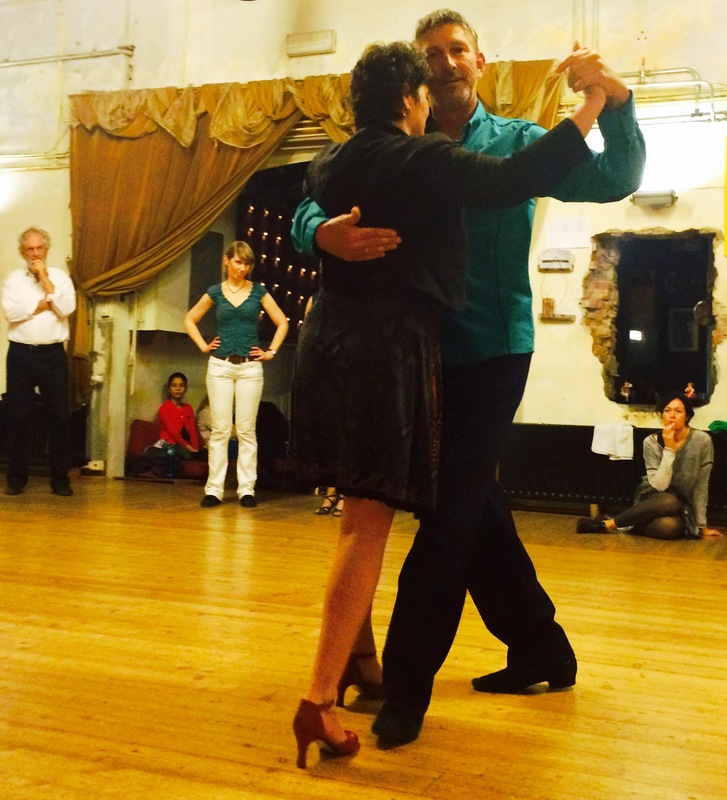 Building on the substantial benefit of the fundamentals of tango, this course is focusing on the connection experienced in the open and closed embrace, taking the normal and alternate walks to a new level and introducing the outside walk. 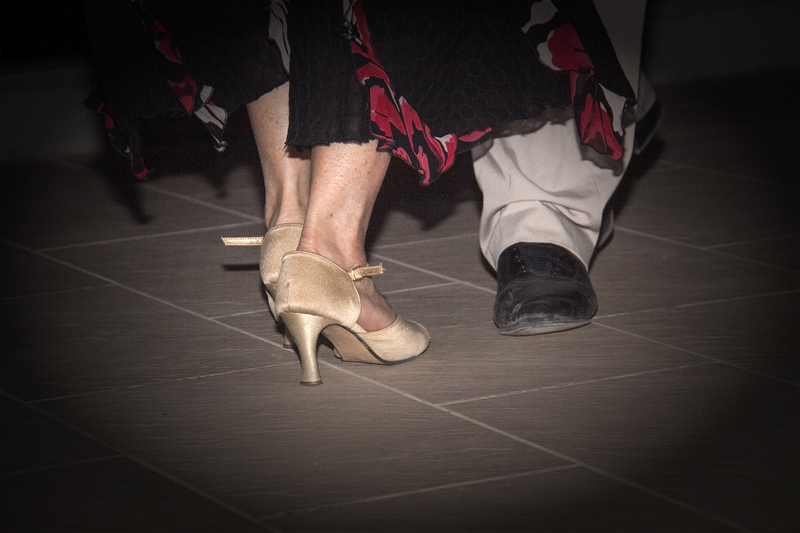 Transitioning between the walks will be key to confidence building on the dancefloor together with enjoying learning new steps like the essential the placed ocho and la cruzada. Time for play with the low boleo for embellishment. Course fee €60 including free practica session at end of course. Email info@isaldeltango.com for reservations and questions. Who: Those who have already a good introduction to tango fundamentals by following Introduction to Argentine Tango A or otherwise and anyone who wishes to revisit them. Workshop: This course will take the format of a workshop. The beauty of the workshop is that we are working together on consecutive days, building from one hour to the next, from one day to the next. We will maximise what we have learnt by practising in the following week without adding new material so as to let the body understand and absorb the tecnica taught in the workshop. What: Revision of the change of balance, normal, alternate walk and pivoted ocho. Price: Price: € 60 (price includes tuition + a free practica session. Improvers (students of Isla del Tango who have already done the same course) may be eligible for a discount. No reimbursements given for missed classes by students. Payments on first day of class. No deposit but commitment required as we work on trust basis. 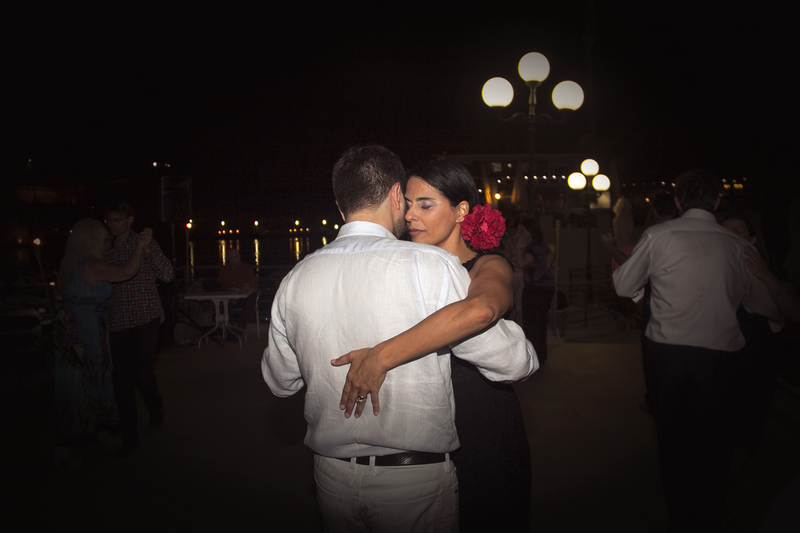 We wish to deeply thank our students for choosing to participate in classes and events organised by Isla del Tango in 2013. 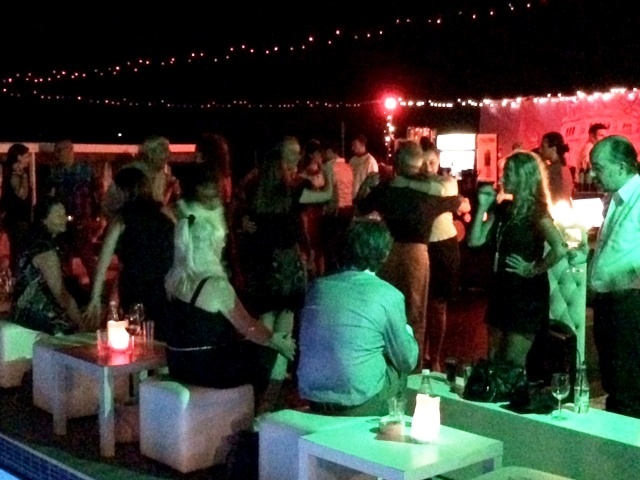 We also take the opportunity to thank friends who have given a hand and collaborated with Isla del Tango including tango DJs and big thanks goes to other local tango organisations who contribute to the well being of the local tango community. It was always a pleasure to share the passion of this dance experience with you. 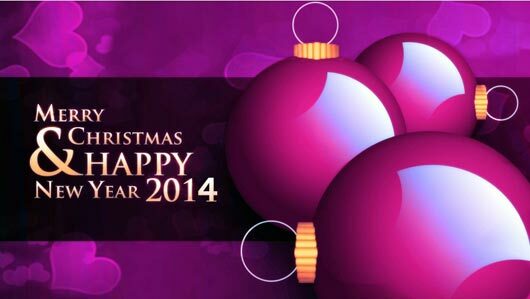 Best wishes to you and your families and may the season be a serene one. 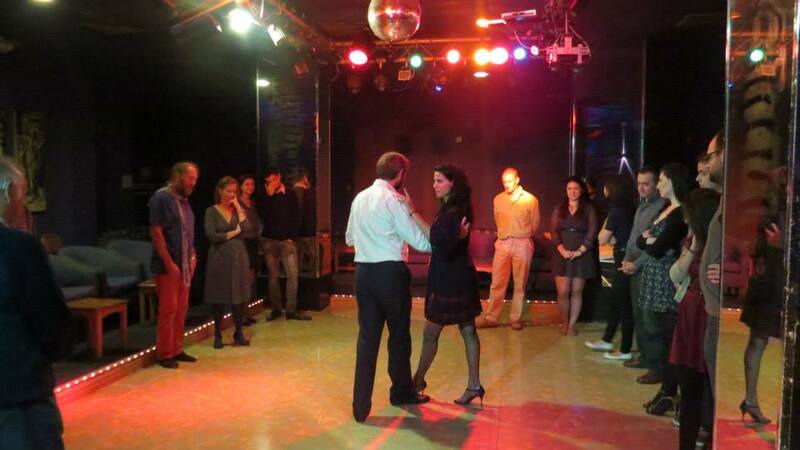 Isla del Tango will resume with its activities with the much enjoyed weekly assisted practica sessions every Tuesday between 8pm and 9.30pm in B’Kara starting on Tuesday 14th of January 2014. 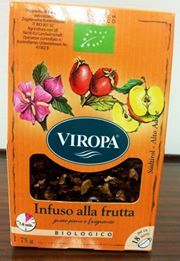 We will be serving the refreshing and revitalising Organic India Tulsi Tea to warm you up! The ‘Part B ‘ of the Fundamentals & Basics – Experiencing the Connection & Crosses course will take place in the weekend between the 24 – 26 January 2014 in B’Kara. This weekend bash will take your tango a notch higher :). Email info@isladeltango.com for programme.